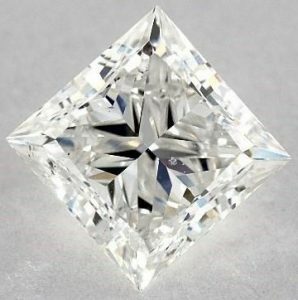 2 Carat Princess Cut Diamond Ring Guide - Best Color, Clarity, and Cut Proportions! The thing about being too mainstream is it loses the veil of mystery that’s what makes it alluring. When everyone wants the same thing, those who want to stand out usually go against the grain! 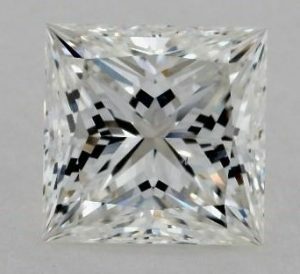 But despite its popularity, the princess cut still possesses a unique appeal. Perhaps because it doesn’t steer too far away from tradition and still exudes a modern cut and a brilliant make-up. And what a perfect way to exhibit this gem than to make it as big as 2 carats! A diamond size tagged to the elite making the wearer feel like royalty. In this post, we’ll tackle how you can make the most of your budget especially if you’re keen on getting this specific diamond shape and carat weight. 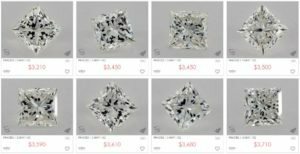 You’ll learn that there are certain factors that will go best with the right parameters like choosing the most fitting color for a bigger diamond! If you want to know more about the princess cut, get yourself acquainted here. Same thing if you want an intro to 2-carat diamonds, read more here! Now, considering your eyes are set on the prize, follow the steps below to get the best 2 carat princess cut diamond ring for your money's worth. Any ratio up to 1: 1.05 will look square to the naked eye. 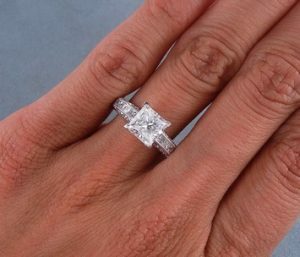 If you go beyond that ratio, the princess cut will appear more rectangular. And a perfect square is what we want to see! 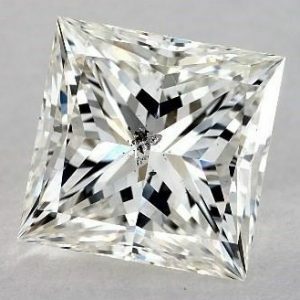 Honestly, any 2-carat diamond will go smoothly with any shape, but if we’re going to be specific, a princess cut displays a larger surface of 6.94×6.94mm compared to other rounded shapes. So, that’s a good thing! I would always recommend a G Color. You can’t go wrong with it. It’s the sweet spot! But actually, it’s conditional. With big diamonds like 2 carats, body color becomes more evident so a G color would appear a bit darker in a 2-carat than a 1-carat. You can still opt for a G, but it’s best to see for yourself if the tone is good enough for you. If it looks warm, try an F color! Can you see how much warmer the color of the 2 carat princess cut diamond is? Click the image to view in 20x zoom! Then again, if you’re planning to set your diamond in a yellow gold ring, you may pick lower color grades since the slightly warmer tone will be compensated by the setting’s color. Now, having learned about looking for eye clean diamonds, you probably have this one on the bag. But tread lightly, my friend. Just like color, clarity is more evident in larger stones. 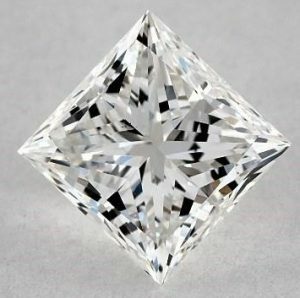 Meaning, if we can find eye clean SI2 diamonds in the 1-carat range, it might be more challenging to find some in the 2-carat (or more) range. Can you see the difference in clarity between the 2 carat diamonds below? But in fact, it wouldn’t take you all day to skim through 2 carat princess cut diamonds with SI1-SI2 clarity, so might as well scroll away! Now, we don’t want to confuse an easy route with not giving enough thought. But there really is a quick alternative that would still allow you to find an exquisite 2 carat princess cut diamond ring! A renowned diamond shop will assure you of your diamond’s value and quality. There are considerably more choices, and you’ll be able to view the diamond much closer than with brick and mortar store’s 10x loupe. The current no. 1 is James Allen. 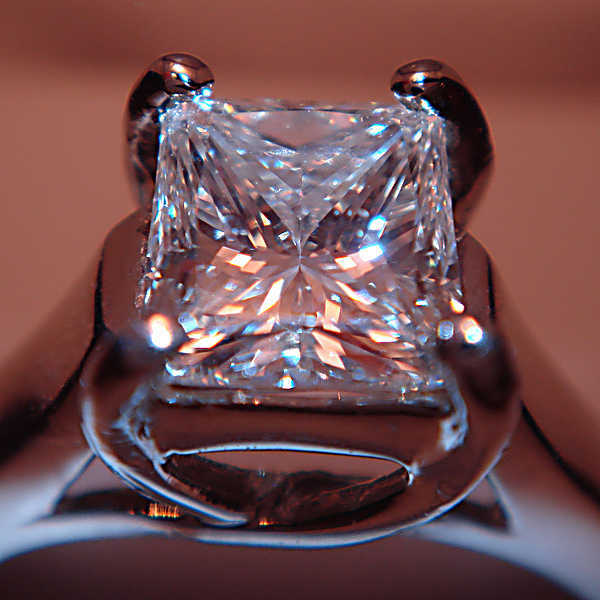 They have 360° diamond videos with 20x magnification that will really let you see your diamond up close! A sure-win approach is to choose your diamond according to the exact proportions above, but you can also opt for an AGS Ideal Cut grade in princess cut diamonds. 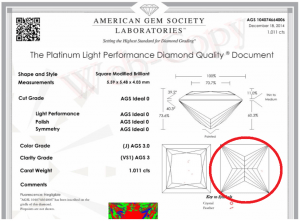 By doing this, you won't have to concern yourself with the specs as an AGS graded diamond is guaranteed to have an excellent light performance, as well as symmetry and polish! After checking the most important factor – the diamond cut – off the list, pick what looks good to you. An eye clean one, of course! Then, consult a diamond expert via the website’s chat tool. Ask them for ASET analyses and basically, what they think about your choice. From there, it’s just a matter of personal preference. A 2 carat princess cut diamond ring is big, bold, and extraordinary from the outside. And this is probably enough for some. But don’t stop there! Your diamond can have all those traits while also being brilliant, fiery, and exhibiting an excellent light dance because it’s also superb on the inside. With this shape and size, it could cost an arm and a leg, so might as well opt for the best cut proportions and get your money’s worth!